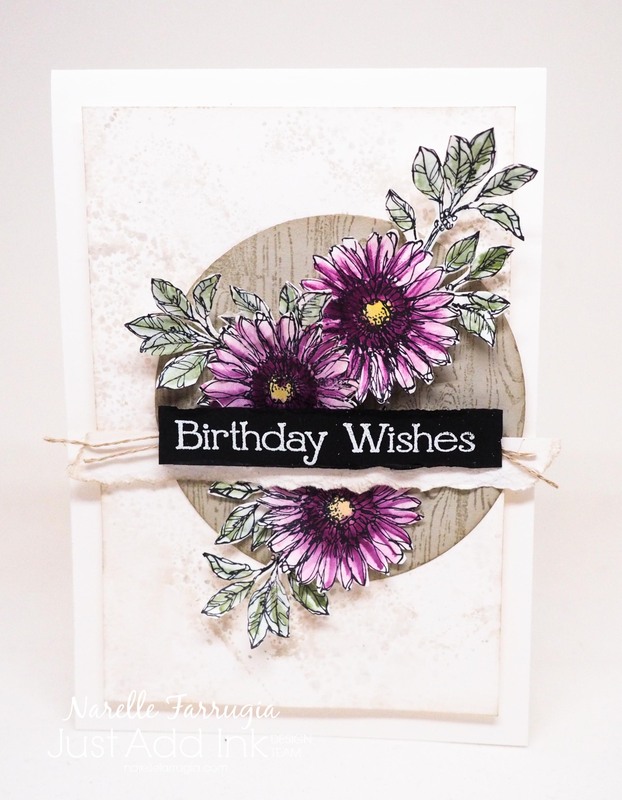 I thought “vintage” as soon as I saw this photo and dragged out an old favourite retired Stampin’ Up! stamp set called Bloom with Hope. I watercoloured the flowers with Blackberry Bliss and a touch of Hello Honey. The leaves are coloured with Pear Pizzazz and Always Artichoke. To add woodgrain to my circle I stamped Hardwood in Crumb Cake onto some Crumb Cake cardstock. For the background, I applied my Crumb Cake Ink pad directly to my mat and spritzed it with water. I then put my cardstock directly onto it and heated it with my heat tool to dry it off. Beautiful. Thanks for re-visiting this stamp set. You are so good at the colouring,the flowers look real. Beautifully watercoloured flowers, Narelle – perfect for the photo! 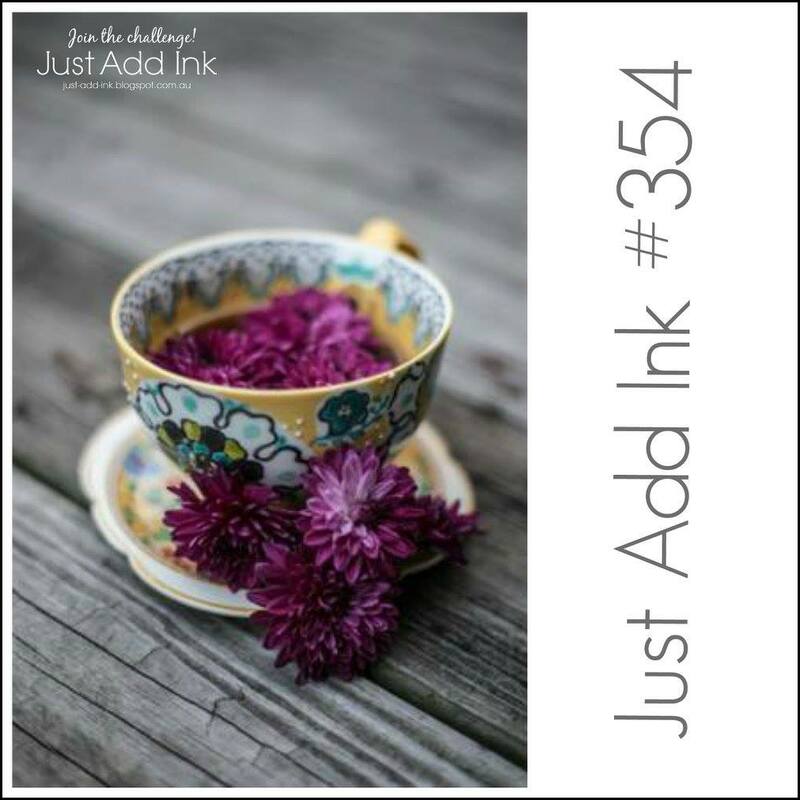 And you’ve used them to create a gorgeous card! Another card I totally love, Narelle! Those flowers are fabulous.